The 2006 NASA ST5 spacecraft antenna. This complicated shape was found by an evolutionary computer design program to create the best radiation pattern. 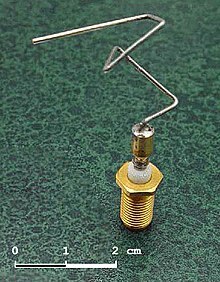 It is known as an evolved antenna.